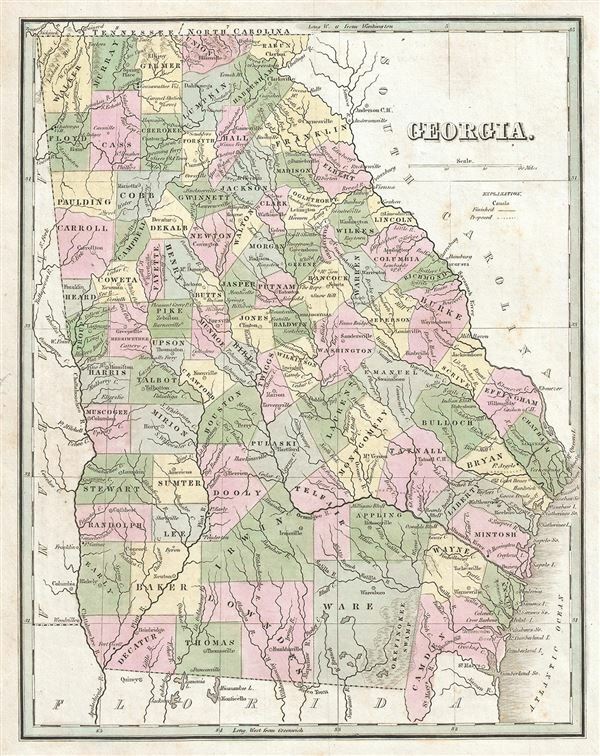 This fine map of Georgia was printed in 1835 by the important American mapmaker T. G. Bradford. It depicts the state in detail, noting roads, rivers, lakes, proposed and finished canals, and a host of other topographical features, with relief shown by hachure. The vast Okefinokee Swamp is also identified. Offers color coding at the county level. Notes the city of Dahlonega in Lumpkin County, the site of the second gold rush in the United States' history, where gold was discovered in 1829, twenty years preceding the one in California.